Dovecot Studios, Scotland’s leading and most innovative tapestry company intend to create a new, large and exciting workshop for tapestry weaving in the centre of Edinburgh, while preserving and enhancing a building of historical significance. This unusual use perfectly fits into the Victorian Infirmary Street Baths, currently a vacant building: the huge looms would sit most beautifully within the large existing main pool space, with the old pool gallery becoming a public “gallery” for tapestry. Subsidiary to this main space are Dovecot’s requirements for other accommodations located in cellular rooms around the main pool area, under the gallery space. The yarn library provides a vibrant and colourful backdrop to the main workspace. The main pool basin is excavated to form a new ground floor that is accessible from the adjacent entrance/foyer. It is to be used for exhibition, which could relate to Dovecot activity or be managed independently. 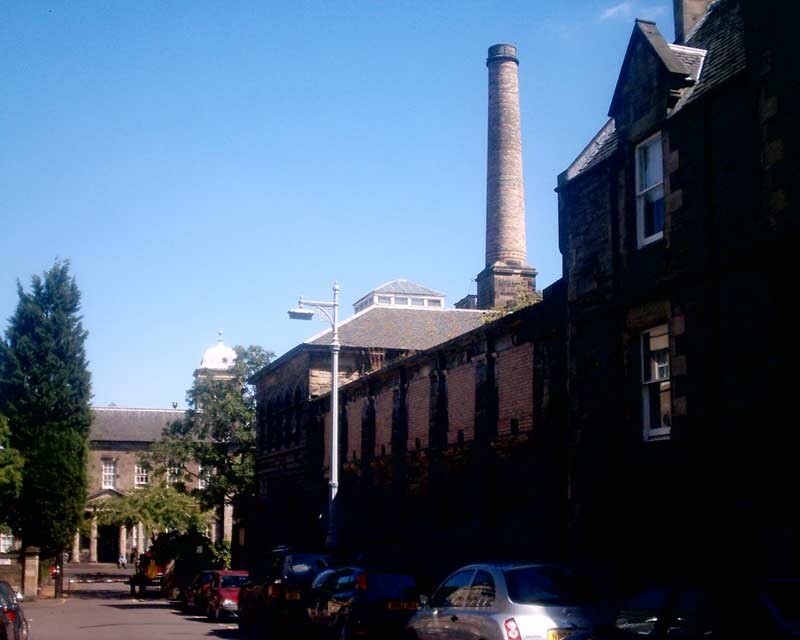 Thereafter appropriate development of the other parts of the building – the derelict ladies pool and the range of former boilerhouse buildings – provides an opportunity to show good, considered, respectful and vigorous mixed use redevelopment. A simple contemporary palette of materials is proposed. The existing stonewalls always mark the ground floor ‘base course’. Above these the proposed volumes are simple boxes clad in zinc. Large glazed elements form big windows. Timber louvered shutters to the residential elevation achieve a subtle layering that marks the different uses and address privacy issues. The upward movement of the building culminates in the top storeys that are treated as glass boxes with a lightweight roof. 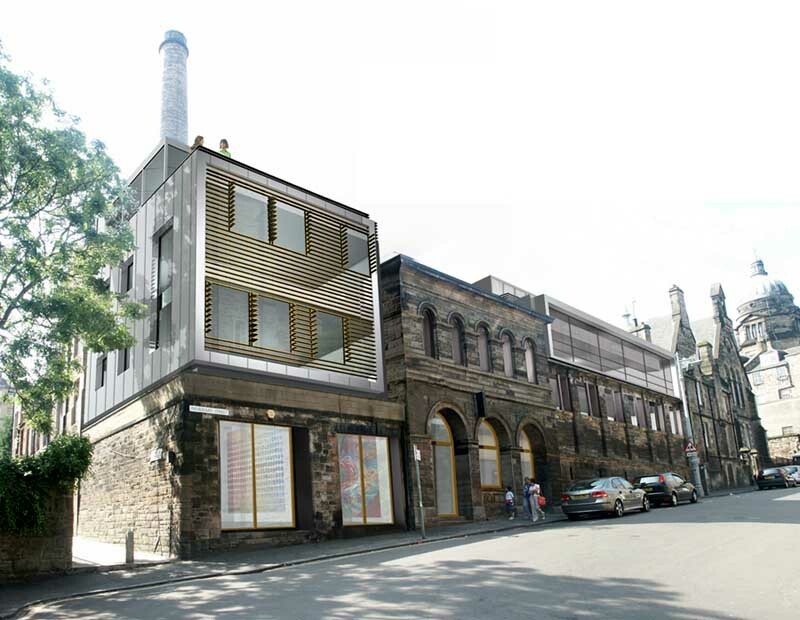 Malcolm Fraser Architects – proposal to convert down-at-heel (disused) Victorian baths to weaving room, gallery, offices and residential for Dovecot Studios. 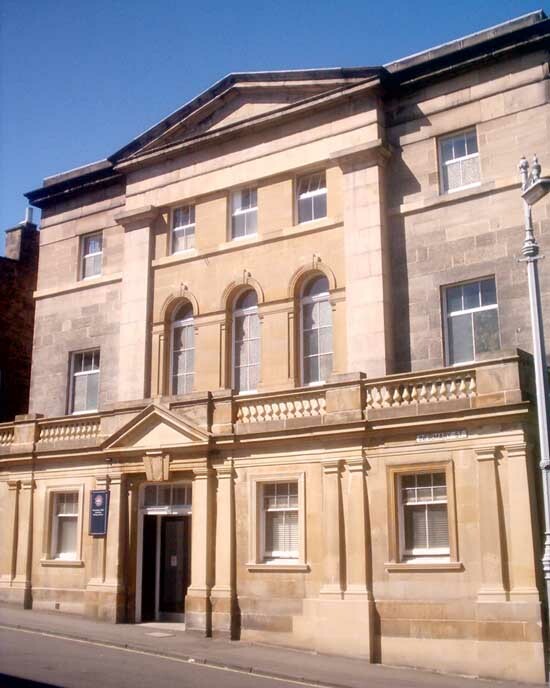 Previously Infirmary Street Baths subject to proposals for EDI by Gareth Hoskins Architects and rightly the focus of a campaign to save this public building for public use. 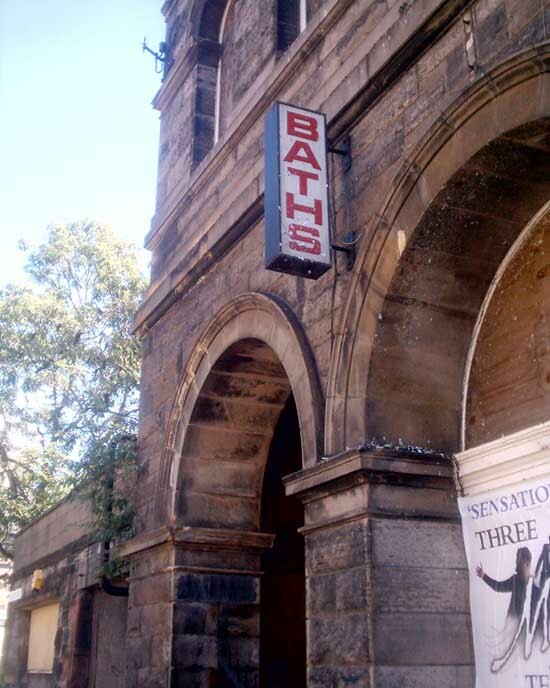 For a long time this building has lain in a dilapidated state and I recall the Cockburn’s Martin Hulse writing about the property. 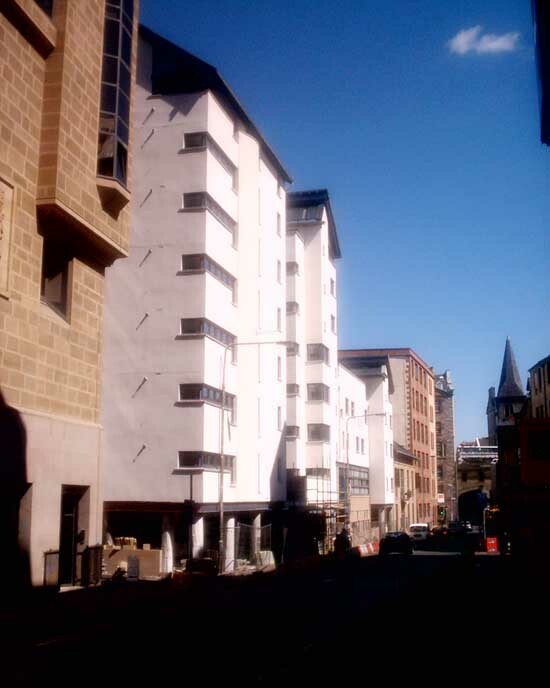 The EDI scheme has been known about for a few years but in 2004 Gareth Hoskins Architects commenced working on a ‘housing and artists’ studios’ proposal.